Do you remember o first post about New York? There você aprendeu que New York surgiu a partir da union de five other cities. Today, cada uma delas é um borough e tem seu próprio government, sua própria culture and suas próprias characteristics. The Statue of Liberty, Wall Street, Central Park and SoHo são apenas some attractions de Manhattan; at night, as luzes da Broadway iluminam este borough repleto de life and movement. Manhattan abriga the best restaurants, boutiques, bars, universities, museums e as multinational corporations que fazem deste borough the financial and cultural center of the world. O most populous de todos os boroughs tem music every night e exala uma bohemian aura. Vivenciar the unique architecture de sua residential area, atravessar the Brooklyn Bridge a pé and caminhar pelo Brooklyn Bridge Park are unforgettable programs. Nature parece ser ainda mais beautiful in this island. Navegando na Ferry que liga esta island a Manhattan, você avistará the Statue of Liberty, Ellis Island e Manhattan de dentro da water. Em terra there are beaches, museums e a maior urban Forest preserve de New York – the Staten Island Greenbelt – com 10 km2. 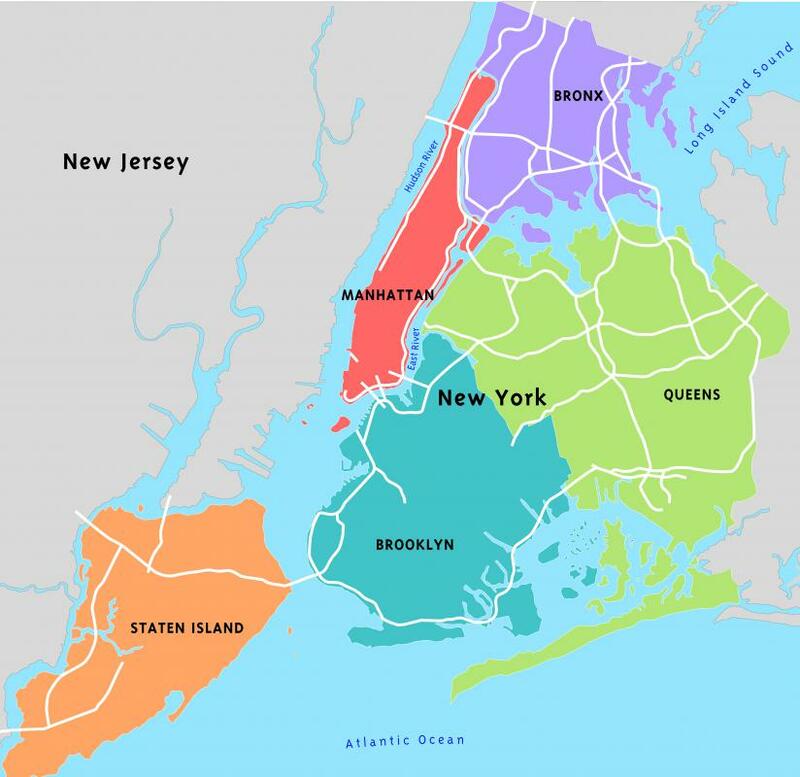 Geographically, Queens é o maior de todos os boroughs. A ethnical diversity é a marca desta commercial an residential area repleta de good restaurants with international cuisine, parks and baseball games. Lá também estão os best tennis players do US Open and two airports (John F. Kennedy and La Guardia). Berço do Hip-Hop e do Rap, o Bronx abriga o Yankee Stadium (stadium dos New York Yankees). The Orchard Beach, Botanical Garden and Bronx Zoo – o maior metropolitan zoo do world – são typical attractions. Today é Children’s Day in Brazil. Que tal alegrar a child que vive dentro de você? Daqui a exatamente one year você poderá celebrate Children’s Day in New York. Access https://en.wikipedia.org/wiki/Borough_(New_York_City) , http://www.nycgo.com/boroughs-neighborhoods/the-bronx , and http://mentalfloss.com/article/76667/why-does-new-york-city-have-five-boroughs to understand this unique city.